Going through your website I found a dataset labeled Houston Harvey Damage Assessment GIS dataset comprised of from different sources. I am requesting the shapefiles of those sources. 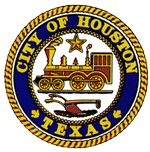 The specific data shapefiles needed are: City of Houston 311 service request calls, 911 incident calls, Solid Waste Management Department debris pickup locations, Public Works Department Flood Plain Management Office high water mark data, FEMA Individual Assistance (IA), and the National Flood Insurance Program (NFIP) data. Also is there any data sets that examine hurricane Harvey flooding by neighborhood or household available, if so can you send that as well. Thanks for your help on this matter.